Tina Logan's training is divided into several courses. 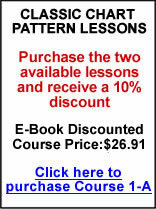 Scroll down to view all available lessons in these courses. All sales are final. This course on Trading Strategies and Techniques incorporates more advanced material and emphasizes the application side of my training. The content of this course was designed to build upon the information provided in Courses 1, 2 and 3.